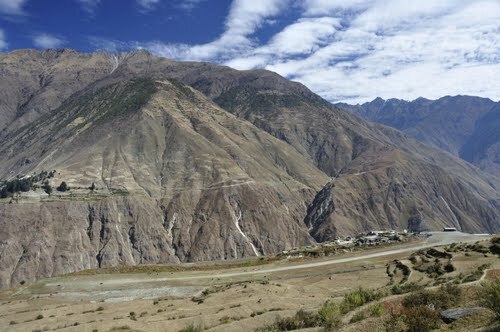 DOLPA, Sep 08: Jufal Airport, the sole means of transportation in the mountainous district Dolpa, resumed operation from today after a long closure. The airport remained closed for around three months as the upgradation work is underway. It started resuming flights, following the 90 percent completion of blacktopping of the runway, as informed by the Airport Upgradation Project Chief Bir Prasad Shahi. The resumption of the airport on the eve of the Bada Dhashain festival has brought cheers among the Dolpa folks who were facing a sort of blockade due to the suspension of air service. According to Shahi, flights were resumed bearing in mind the need for the convenience of people, and transportation of daily essentials when festivals are around the corner. The remaining upgradation work of the project will complete soon, the airport authority said.